Placer County in Northern California is one of the state’s fastest growing areas. It is in the heart of the Gold Country with many communities that sprang up during that time. 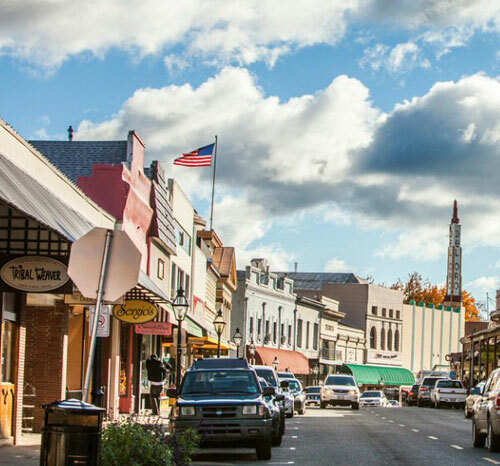 Residents enjoy looking for antiques and enjoying boutiques and fine dining throughout these old towns. In contrast, Placer County is home to the largest regional shopping mall in the area, the Roseville Galleria. There are many outdoor recreation opportunities here. Water sports on Folsom Lake and other lakes, fishing in the American River, hiking and horseback riding, snow skiing in Tahoe to name just a few. Sun City Roseville, Sun City Lincoln Hills and Springfield Whitney Oaks are communities for the active 55 and over home buyer. Historical homes in the Old Towns, new homes on large parcels of property, homes in subdivisions, condos, and vacant land are all for sale here. Northern California’s Nevada County offers a lifestyle that allows its residents to slow down and enjoy the many natural features that are within the county. Rolling foothills at elevations that can be covered with snow in the winter and green pastures with wildflowers in the spring welcome you home. From Grass Valley and Nevada City where inches of snow will fall, to Donner Pass where feet of snow fall, the various areas/communities all offer something different. Nevada County is closest to the Auburn area of Placer County. It has a lovely gated lakefront view community of Lake of the Pines. And out towards Penn Valley is another lake community, Lake Wildwood. Also, within Grass Valley and Nevada City are vintage homes, newer homes on large parcels, land where you can build your dream home, condos and tiny homes. Let us show you how many options there are for finding a home. The communities within Nevada County offer great activities. The Nevada County Fair and the Draft Horse Classic draw people from all over the state. What could be more fun than concerts in the park, multiple farmers’ markets, the Wild and Scenic Film Festival, Cornish Christmas in Grass Valley, or Victorian Christmas in Nevada City just to name a few of the more famous happenings. The beautiful parks and recreational activities are added features. Winter ski in the many world-class Lake Tahoe ski resorts or water ski on the many lakes nearby. Camping, hiking, horseback riding, fishing on lakes and streams, or finding antiques in the many old towns that make up the area. If you are looking for date night activities, there are fine dining establishments and casual dining places where you can sit next to streams and rivers. There are wine trails and backroads that follow the small gold mining routes. Sitting in a cool stream in the summer while you pan for gold and picnic is always a favorite thing to do. Need to escape the pressure of “big city” living? Nevada County could be just the place for you.